The New Mexico Counseling Association is proud to announce our 2019 Annual Conference. This year’s theme is EMPOWERING ALL: COUNSELING ACROSS THE LIFESPAN. It is our goal to draw on the unique strengths of our community, our clients, and our fellow counselors to inspire growth and efficacy throughout an individuals life. We understand the difficulty clients and counselors alike may face when encountering challenges at each developmental stage and value the creativity of our interventions. We hope you can join us for this year’s conference which will feature multiple workshops, including Supervision & Ethics, exhibits, and the ability to earn up to 12 CE hours (pending NBCC approval). This event is open to all who wish to network and gain valuable training at is relates to the counseling field today. Walk-in availability may be limited. We encourage you to register using this online system. Special discounts apply to early registration and members. If you aren’t a member already this is a great time to join us and save on your registration at the same time. Dr. Steven Jenkusky has been with Magellan Health Services since March of 2016, serving as a Vice President Medical Director, focusing on the Medicaid program in New Mexico and Montana. He is board certified in adult psychiatry and addiction medicine, and has practiced in a variety of settings since 1994, as well as serving as a clinical educator for the University of New Mexico School of Medicine. He has been a member of the New Mexico Medical Board since 2009, and has served as chair for the past three years. He has also served a board member of the Presbyterian Health Plan and is currently a member of the Presbyterian Central New Mexico Community Board of Trustees. The Embassy Suites Hotel will be offering special lodging rates for this year’s event. To book at a discounted rate please call the number below and mention that you are attending the 2019 NMCA Conference. You may also book online by clicking the link below. Be sure to use group code NMC to receive your discounted room rate. *Please Note – CE hours will be formally approved once all conference proposals are received, accepted and submitted for approval to NMCA. 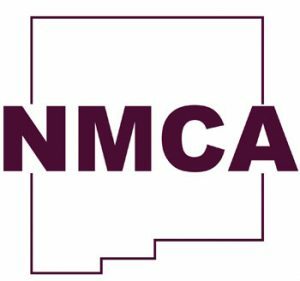 The New Mexico Counseling Association (NMCA) has been approved by NBCC as an Approved Continuing Education Provider, ACEP No. 2032. Programs that do not qualify for NBCC credit are clearly identified. The New Mexico Counseling Association (NMCA) is solely responsible for all aspects of the programs.